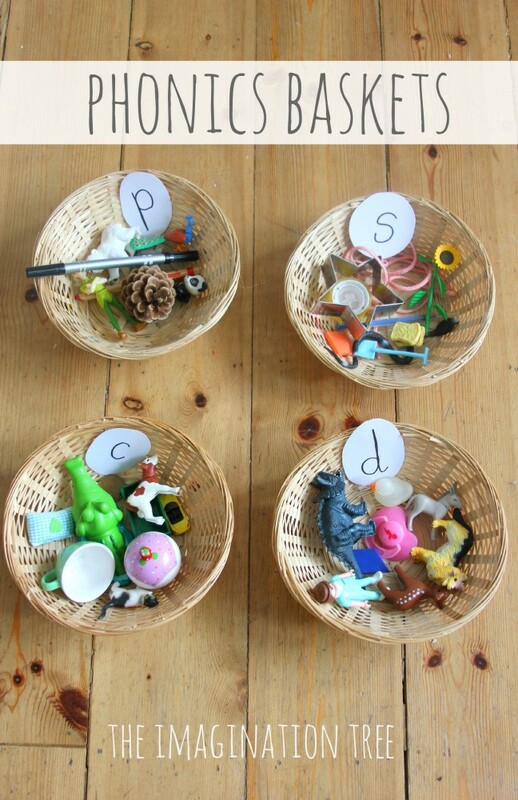 Set up a fun phonics activity for preschoolers and school aged children with this sorting objects into baskets game! 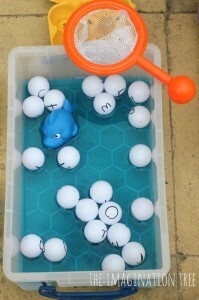 This takes no preparation at all and can be played in different ways to suit the age or stage of each child involved. Pop has been enjoying learning all her letter sounds (phonemes) and their corresponding names and shapes (graphemes) with all of our playful alphabet activities. 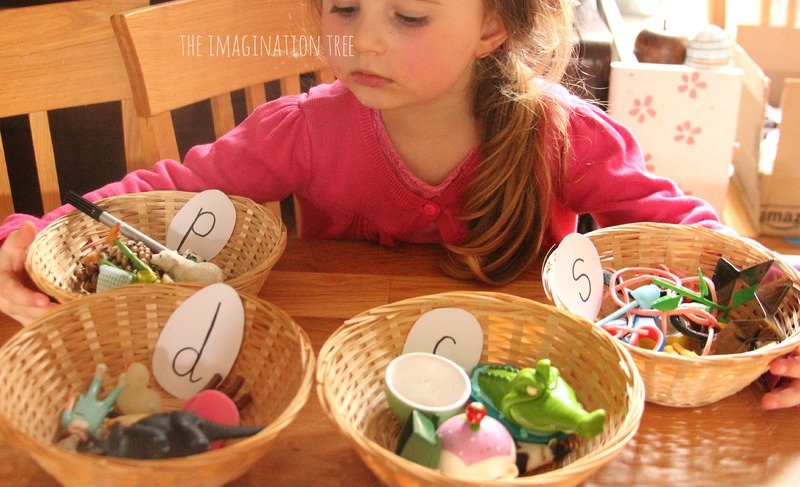 I made her a phonics activity that I used to play with my Reception/ Kindergarten classes when I was teaching, using baskets and everyday objects to sort into them, according their phonemes. This is one of those playful activities that takes very little preparation time and can be adapted for travel or turned into a busy bag for pulling out at a moments notice. 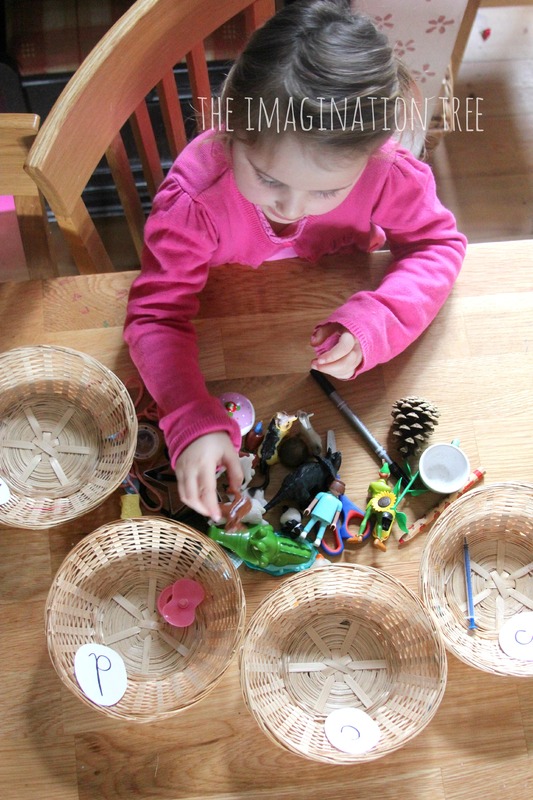 I found some baskets and wrote out 4 phonemes that I wanted her to practise onto card, then cut them out. I collected a number of small items from around the house that had those phonemes as their initial sound and then mixed them up in a pile in front of the baskets, ready to be sorted. 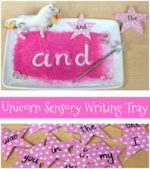 Obviously you need to base this on your own child’s ability and focus on sounds they may need help with. 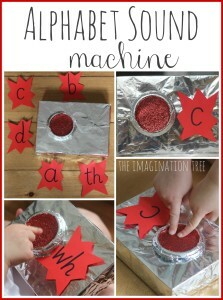 This is a good way to introduce new phoneme sets in small groups in the classroom too. We talked about how the first sound we say in a word was the one that we were going to listen out for, and emphasised how to hear and say each on by saying it out loud and segmenting it form the rest of the word. “This is a dddd-og” so what’s the first sound that it begins with? 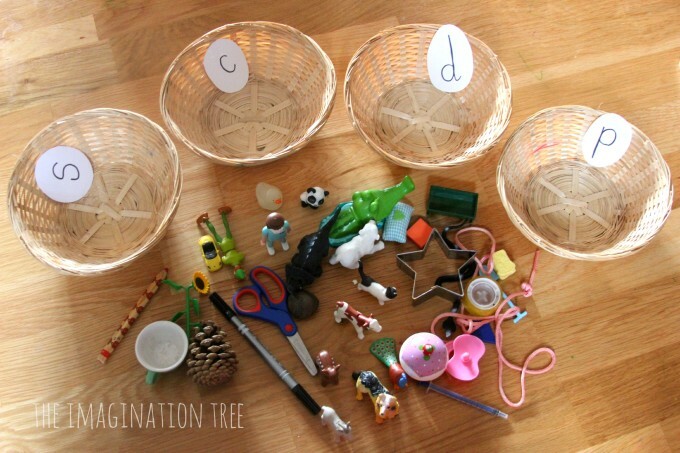 “d, yes!” She was then able to copy that approach with each object she picked up, saying its name and hearing its first sound, before deciding which basket to place it in. She recognised all of the graphemes and we will now take a next step of choosing more unfamiliar ones to practise. After this it will make sense to move onto some digraphs such as “ch”, “sh” and “th” and I will be setting up this game for her big sister Cakie soon. 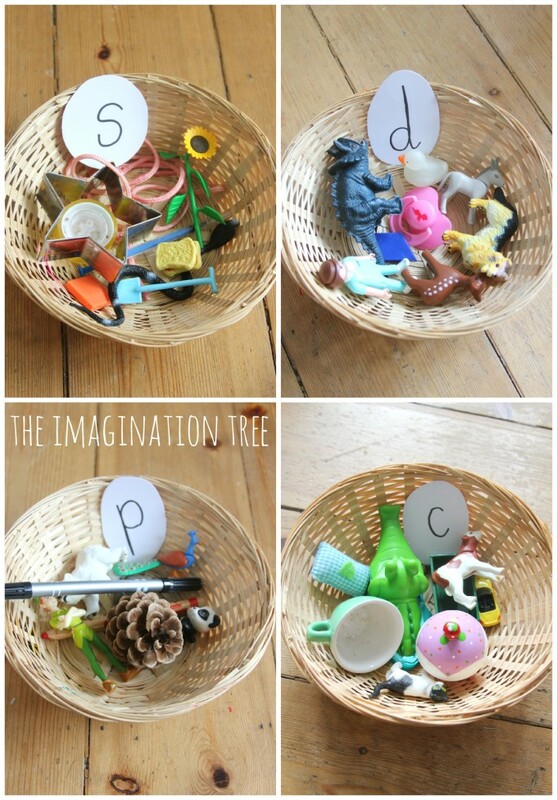 Another way to extend the play is to take the baskets and ask the children to go on a phonics hunt around the home themselves, finding appropriate objects to fill each one. Moving onto hearing and distinguishing ending sounds is also a next progression and could provide a lot more challenge for more able children. 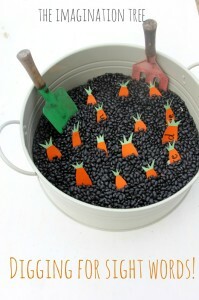 See all our Playful Literacy activities here, including phonics, alphabet work, story-telling, writing and pre-reading. I just want to encourage you by commenting on your site today. I am a new reader, and I LOVE your blog!! Thank you so much for taking the time to put your ideas on the blog! A wonderful idea! Not only simple to do but gives all of the little clutter items around our house a new purpose! Going to set this up!